The UEFA Europa League last night provided some unexpected drama in matches across some stadia. Marseille was seeking to top Group I when they faced Vitoria Guimaraes but lost by a lone goal. The goal scored by Hurtado in the 80th minute. The highlight of the match, however, happened before the kick-off. 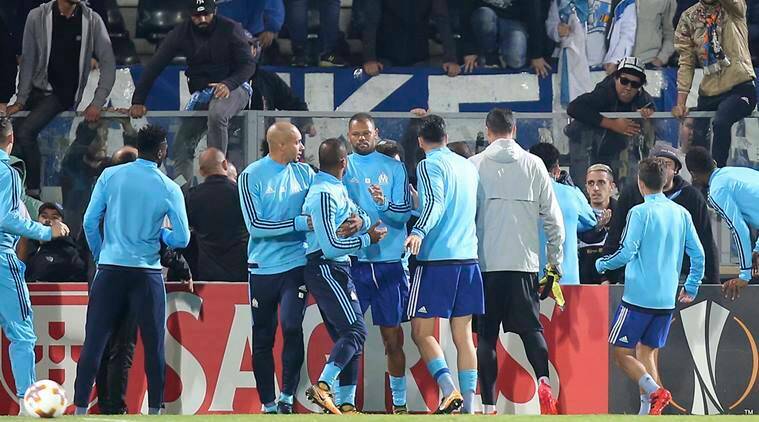 Marseille defender Patrice Evra was sent off for kicking a fan of his own team. Evra was jeered during the match warm-up routine and after a while went to speak to the fans. Conversations did not go well as video footage showed Evra, kung-fu kick a fan. The substitute was immediately dismissed, and UEFA is likely to look into the matter. “Pat has experience and he must not react, it’s obvious,” Marseille coach Rudi Garcia said. Everton lost by 3-0 away at Lyon last night, ending their hopes of going through to the next round. The loss has further dampened the chances of interim manager David Unsworth making the role permanent. Former Chelsea player Bertrand Traore opened the scoring in the 2nd half, when he outpaced the Everton defensive line, and slotted the ball in the net past keeper Jordan Pickford. 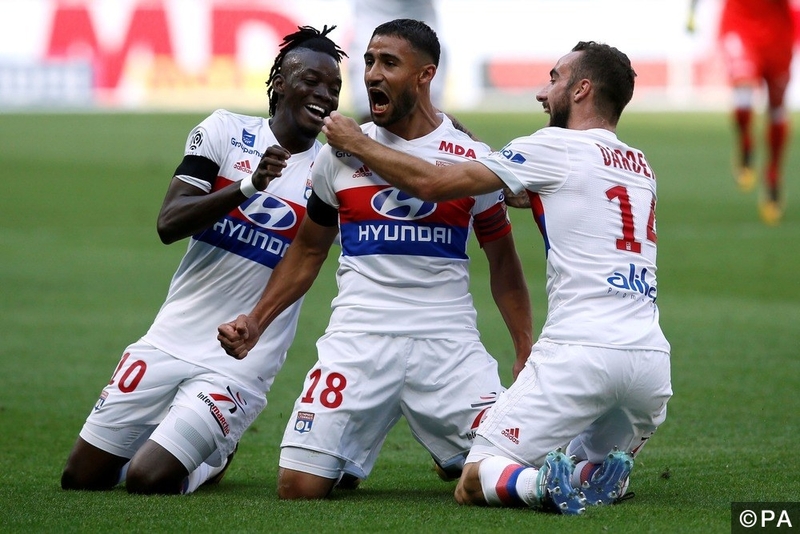 Aouar made it 2-0 (76′) and Depay rounded the scoring in the 80th minute. Everton may be in the middle of a mini crisis, with no manager, and in the relegation zone on the English Premiership log. After spending more than £150m on players, Ronald Koeman was sacked for the poor performance of the team. It is left to see who the Everton board employ to replace the Dutch. The London club were expected to steam roll over their opponents, but that did not happen. There were chances for Arsene Wenger’s men, Giroud and Wilshere in particular, but it was not to be for Arsenal. They qualify to the next round in the Europa League despite the draw with 2 games to spare.